Where to study ICB Courses? Just finished school and can’t wait for campus life? Thinking about studying a flexible, convenient qualification like ICB Bookkeeping? A working mom with lots of ambition, but very little time? On a mission to study intensively and qualify in just six months? 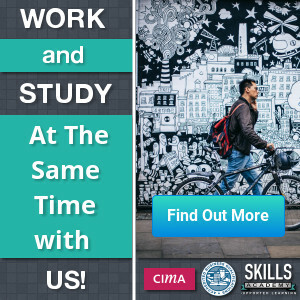 Or maybe you have a longer-term plan to study on the side while working full time? or just looking for Where to study ICB Courses? Then you should consider registering with the ICB. The ICB has been around for more than 85 years and offer some of the most valuable courses available. Home study or distance learning is the most flexible and affordable way to study, while still getting support from a college. Your distance learning college will send you the tuition material you need for the courses you signed up for. Home study students have access to the college’s helpline and support structures. You work through the material yourself, at your own pace, wherever you are. At the end of your course, you’ll sit your final exam at an ICB Exam Centre nearest to you. The results of your exams will be released according to the information on the ICB Exam schedule. Read more on ICB here and on the ICB prospectus here. You can learn more about the courses that Skills Academy offers on the ICB Distance Learning Courses page.